There are three legal forms of hunting in South Africa. Biltong hunting means that animal is hunted for food whereas trophy hunting is a sport. The third form, traditional community hunting, is rarely exercised anymore. Trophy is a memento and a proof of the hunt. Usually the trophy is animal’s antlers, head and the hide. Within trophy hunting there are two different methods, fair chase and canned hunting. Fair chase principle is that the hunting happens in the wilderness, the kill is not certain and tracking an animal takes time. 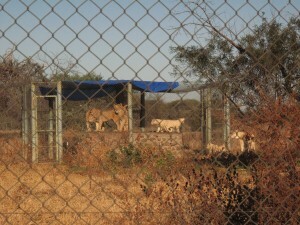 Canned hunting or captive hunting happens in an enclosed area. Since hunting takes place in an enclosure the kill is guaranteed within a limited time frame. Canned hunting is the prevalent method of hunting in South Africa. Legal hunting turns to illegal when borders are crossed, hunting permit terms are not followed or permits do not exist at all. For example, in the case of infamous bowhunt of Cecil the Lion in Zimbabwe a legal trophy hunting turned to an illegal during the hunt. This is not unusual in South Africa either. The practice of hunting captive bred wildlife is spreading from South Africa to other African countries and needs to be stopped quickly. It is not possible to do it locally from within Africa because trophy hunting is legal there and the demand comes from outside Africa. There are already signs of this type of industry in Zimbabwe, Mosambik and Namibia. This is why Africans are pleading for Europeans to support them with the issue. Usually a hunting tourist reserves a particular individual, lion for instance, beforehand from a catalogue or an internet picture gallery he or she wants to shoot. Hunting permit can be applied also without the booking. 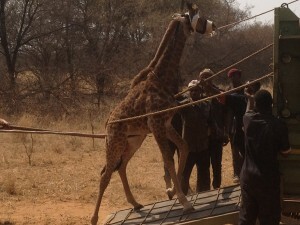 In most cases the fee includes the trophy, that is, the head and the hide. Rest of the carcass cannot be exported so the bones will give extra income to the farmer in the bone trade business.. The night before the hunt animals are sedated and released to the hunting area. 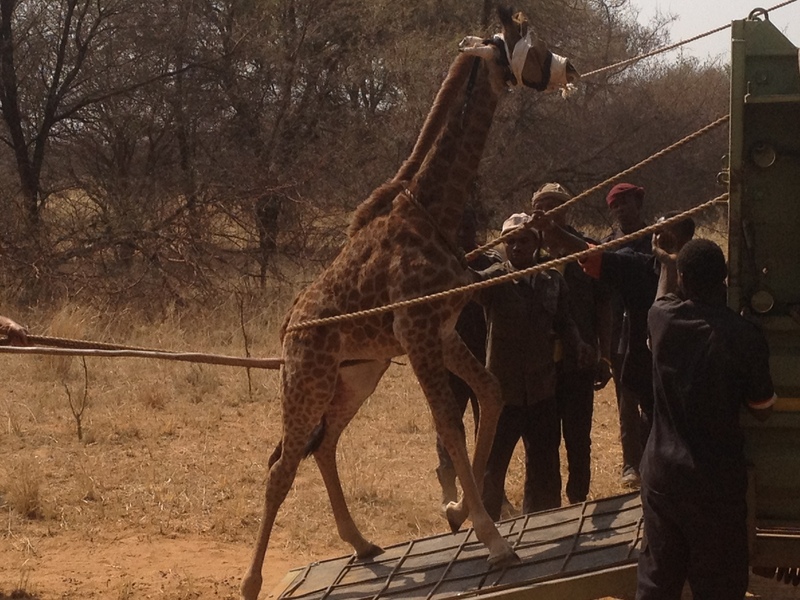 An essential part of the hunt is tracking so the whereabouts of the animal is not told to the tourist. Quite the contrary in fact, there may be quite a lot of ”preparations” before the hunt. If the tourist has time, many days can be used for tracking. If he or she is busy animal can be taken to a smaller area. Sometimes the animal is even shot in its cage. After a few weeks the trophy is delivered to the hunter’s home address by cargo. Trophy hunting has received notorious attention for a few years and hunting is advertised as fair chase more often even if it is organized as canned hunting. Bad publicity has also increased poaching because hunters want their trophies from what they understand as the real wilderness. It is estimated that there are at least 150 farms housing anything between 6000 and 8000 predators for trophy hunting business. Farms usually specialize either for breeding or hunting but some farms are engaged in both activities. In addition, it has been estimated that there are as many as 10 000 farms that are somehow indirectly contributing to breeding, petting and hunting industry. Understandably there is a lack of transparency and it is enhanced by the fact that hunting is often organised by agents and middle men. Total number of game on all South African farms is difficult to estimate because the privacy and property are heavily protected by laws. Most of the animals on hunting farms are known to be lions but there are also significant numbers of tigers, cheetah, leopards and other smaller species exotic to Europeans and Americans. Lions alone are shot twice a day for trophy which is about 700 individuals a year. Besides predators, there are lots of game like antelopes, buffaloes and giraffes on private trophy hunting farms but it is difficult to have precise information of the state of the wildlife or bred animals because land is mainly private. One known fact is that of all the privately owned land ca 15 % are Game Reserves housing species originally wild. Only 6,8 % of all the land is used for wildlife conservation protected by national legislation. In 2012 foreign hunters used 126 million US dollars in South Africa. In 2013 revenue of wildlife auctions was approximately 90 million US dollars. Trophy hunting represents 1 % of South African GNP and within tourism industry the value of hunting tourism is less than 2 % of the revenue. It is profitable business and attracts lots of money. Hunting business operators justify the industry claiming it is an important source of income for local poverty stricken communities. It is known fact though that of all the money involved, only 3 % ever touches locals. Profits remain with the property owners and foreign investors.